GENEVA (Bloomberg) -- Renault SA may be the victim of a "fraud" that led to espionage suspicions behind the firing of three executives and a French police investigation, said Frederique Le Greves, a spokeswoman for the carmaker. The possibility that Renault was misled about foreign accounts held by the three employees is "one hypothesis" being considered, pending the results of a request for information from Swiss and Liechtenstein authorities, Le Greves said by telephone. Le Greves was speaking after newspaper Liberation reported on its Web site that Renault COO Patrick Pelata told the government that the company may have been duped into suspecting espionage. The report cited anonymous sources. The carmaker, which previously said that the fired executives sold company secrets, will revise that view if internal findings on their foreign accounts prove false, Le Greves said. "In that case, it's clear that Renault was necessarily the victim of a fraud, or something else." Espionage remains one explanation, she said. Jean Reinhart, the French carmaker's lawyer, told Europe 1 radio on Thursday that French intelligence services were still investigating in Switzerland and Liechtenstein to find out whether the accounts existed or not. "Nothing has come back to us for the moment, which means that this morning we are unable to say whether we have been manipulated or not," he said. He added: "I refute the term 'manipulation'; we have no information that leads us in one way or another to say that the scenario of espionage does not exist." 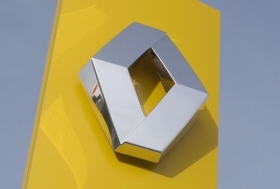 Renault dismissed the managers in January after an internal investigation concluded that they had received payments from Chinese companies via accounts in Switzerland and Liechtenstein. The fired executives, upstream development chief Michel Balthazard, his subordinate Bertrand Rochette and Matthieu Tenenbaum, the deputy electric-car program chief, have denied the allegations and filed criminal defamation claims. Renault's assertion that there may have been a fraudulent scheme "is a positive step for all of us, all the parties in the affair," said Xavier Thouvenin, a lawyer for Balthazard. The attorney said he is waiting for an explanation from Renault. Renault CEO Carlos Ghosn told TF1 television Jan. 23 that he had overseen an internal probe that uncovered "multiple" pieces of evidence supporting the espionage allegations. "If there were no certainties about this, we wouldn't be where we are now," he said in the interview. Renault didn't tell the French government about the alleged leaks until they were reported by the French media, Industry Minister Eric Besson said earlier in January.